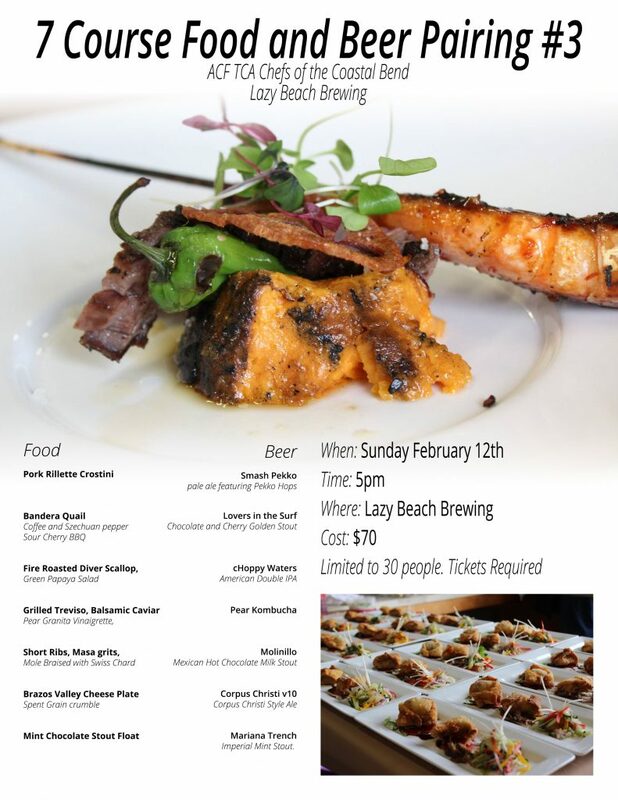 Come join us for our 3rd Food and Beer Pairing event! Once again we have teamed up with the talented Chefs of the Coastal Bend to prepare an amazing evening full of food and beer. 2. Coffee and Szechuan pepper cured Bandera Quail, Sour Cherry BBQ, Bibb Lettuce. Beer: Mariana Trench – Imperial Mint Stout.